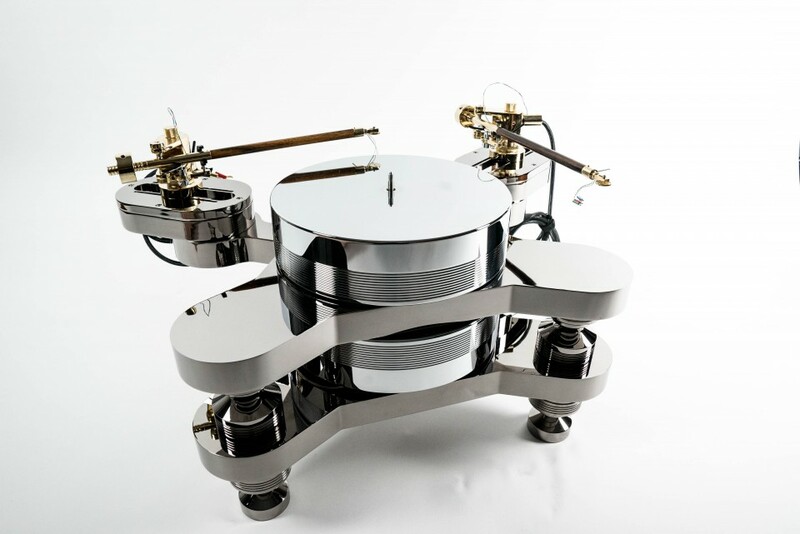 The Master Reference Turntable delivers innovative design without compromising the quality in high-density sound and dynamics, making it competitive among like turntables in the industry. 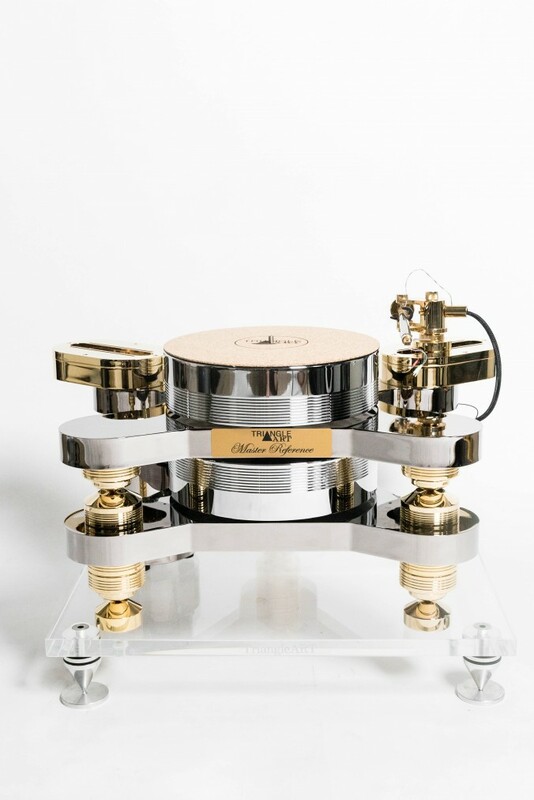 With a double solid 80mm chrome platter construct, comprised of special composite metal, the system delivers precision, balance, and stability. 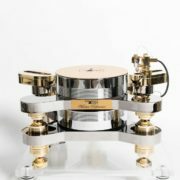 The engineering of this turntable guarantees full resonance control that optimizes any vibration to prevent interference on audio quality. 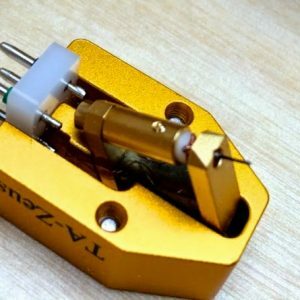 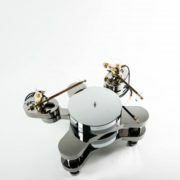 The dual platter design architecturally isolates the motor from the cartridge allowing ultimate isolation from the motor. 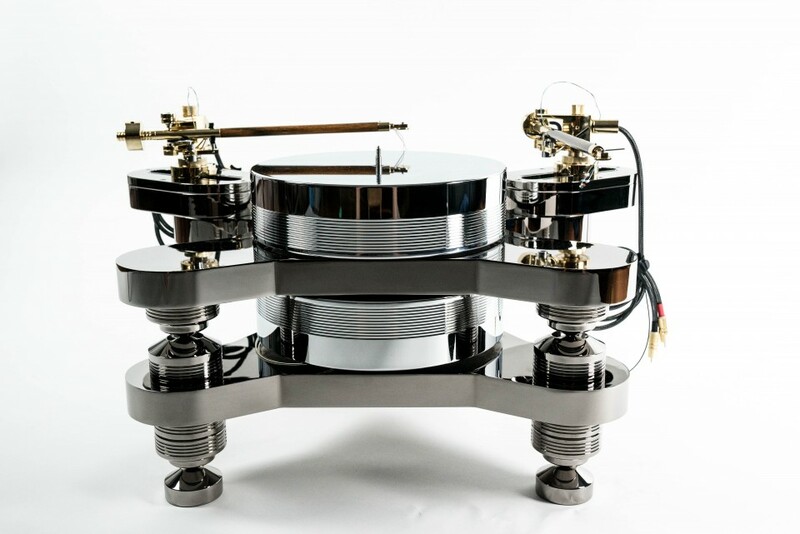 As a result, The Master Reference Turntable offers a blacker background and an airier sound. 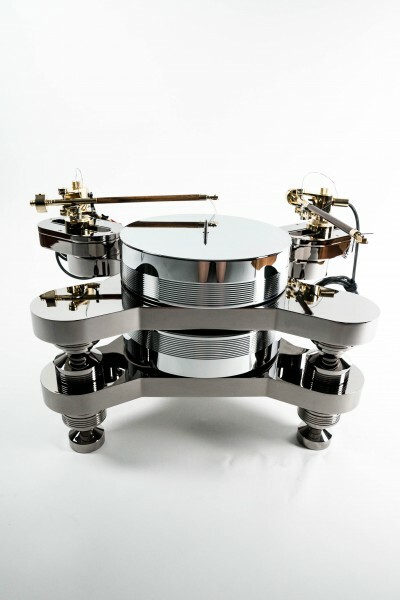 Additionally, the bass is tighter with a more refined treble. 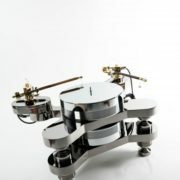 The instruments are now more focused and clear with a deeper and wider sound stage. 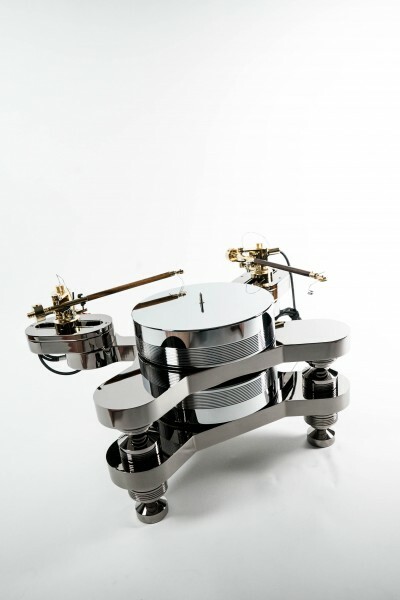 Inner Details flowed effortlessly from the record groove with fast and wide dynamics swing. 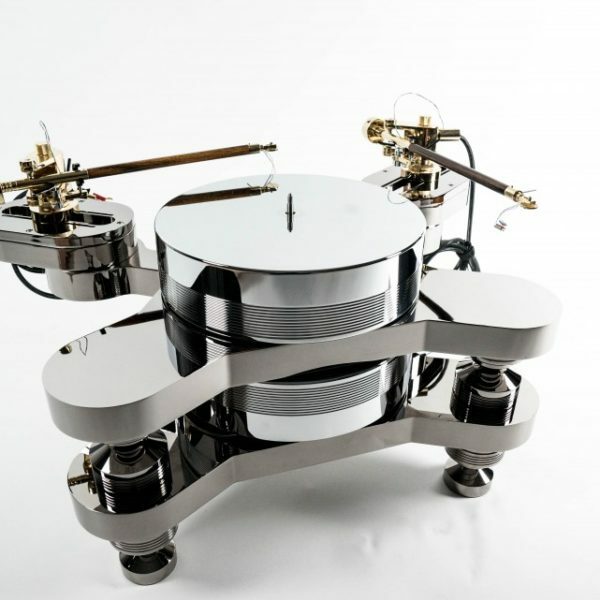 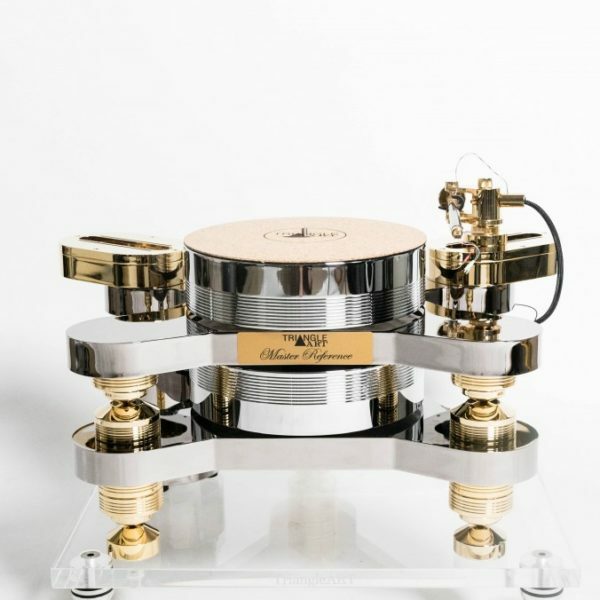 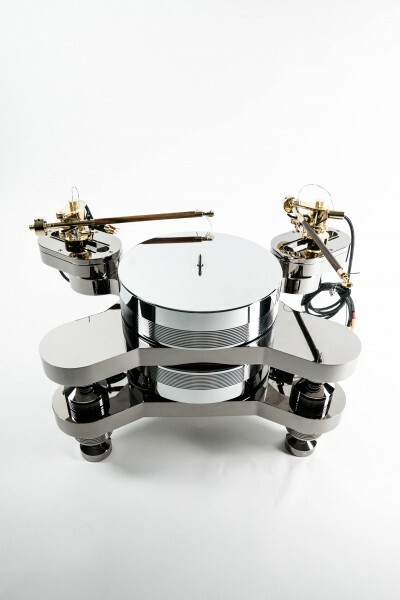 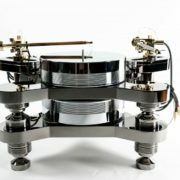 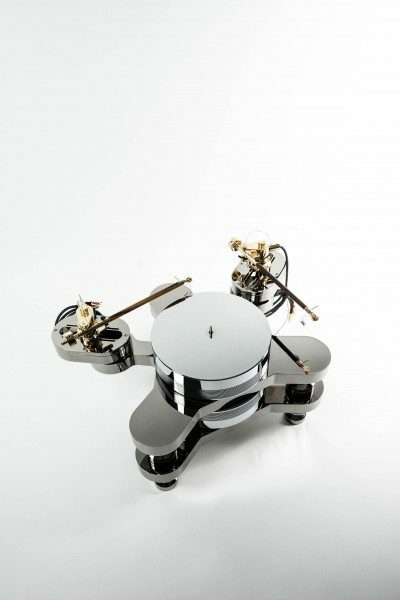 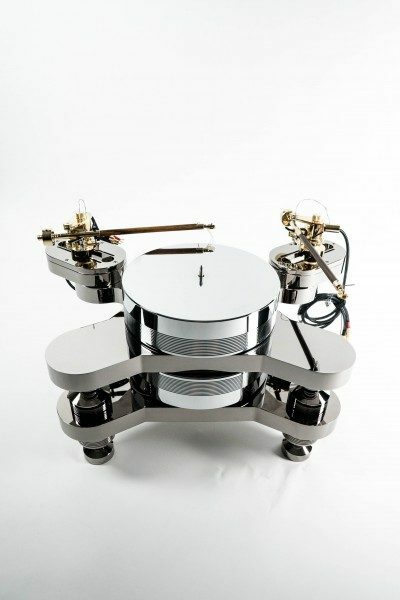 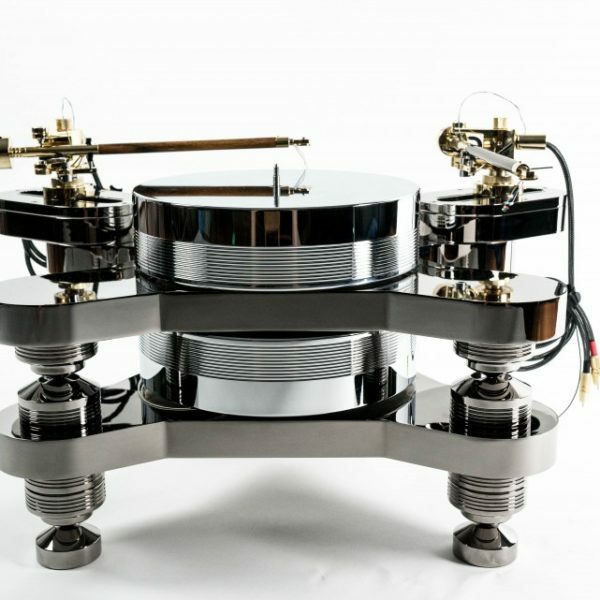 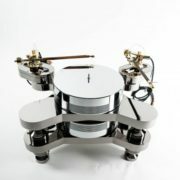 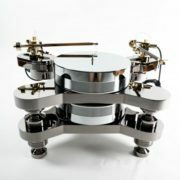 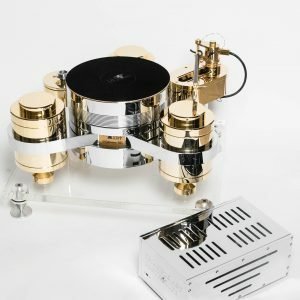 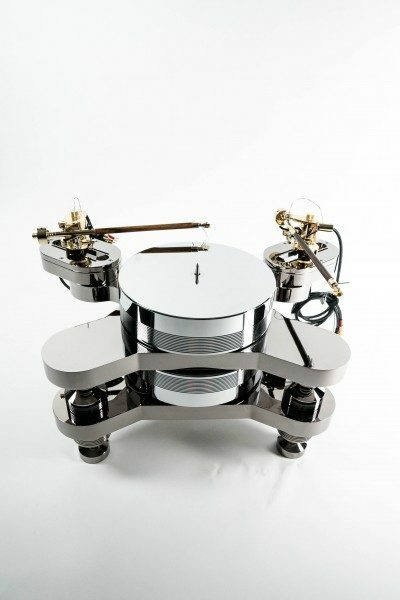 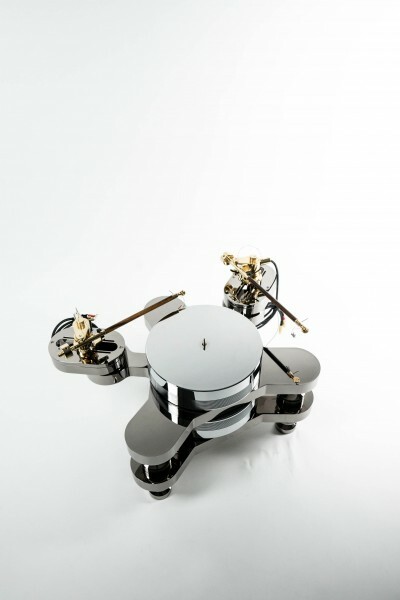 Scalability is also made possible with the built-in capacity to install two tonearms while featuring crystal digital controllers. The black nickel and chrome design is sleek and offers a bold impression making the Master Reference Turntable a conversation starter in any system. The Master Reference Turntable is truly a step above its predecessor and competitors. 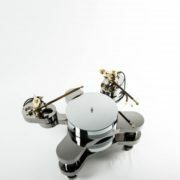 Composite metal plinth with precision CNC machined to prevent vibration.Crystal Digital speed control. 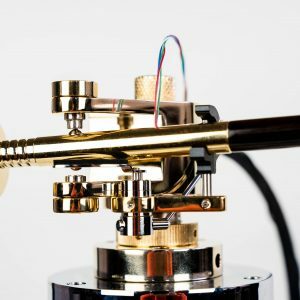 Two tonearm mounting. CNC Titanium ball with Diamond coding. 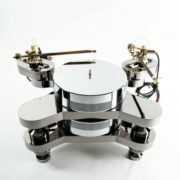 Stainless steel shaft to Drive both platter. 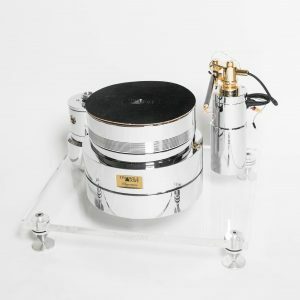 Double solid 80mm chrome platter, comprised of special composite metal, the system delivers precision, balance, and stability.